Dimensions 1 by 8.50 by 11.25 in. 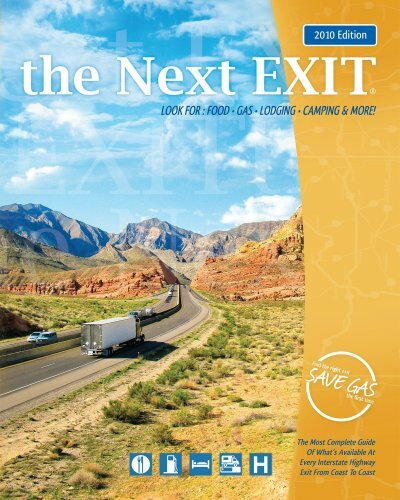 Amazon.com description: Product Description: The Next EXIT helps you find gas, food, lodging and any other service you may desire before you exit the interstate highway. Anyone who travels needs this BIBLE of the interstate highways in the car.